Goddess Bhuvaneshwari is one among the ten aspects of DasaMahavidyas. She is considered as the Goddess Kali, Saraswathi , Lakshmi and also Gayatri. Goddess Bhuvaneshwari safeguard her devotees from any sorts of problems or troubles. She is accepted to be the creator of this universe and believed to the supreme among other goddesses who form love, freedom and relieve from hindrances. Goddess Bhuvaneshwari is considered as the maker and ruler of this whole universe she blesses her devotees to attain all their desires come true. 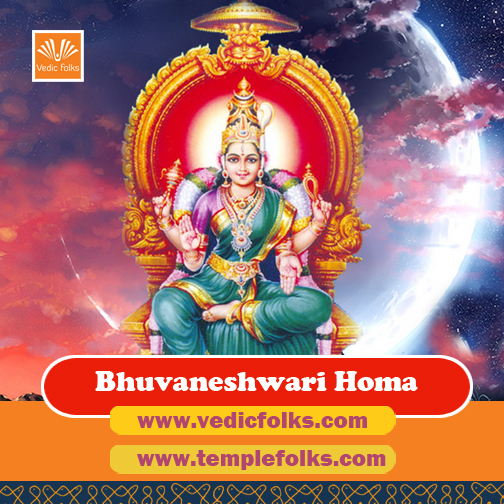 Those individual who perform this bhuvaneshwari homam are get relief from any sorts of health problem like health disorders etc. And also helps an individual to relieve from mental stress for living a peaceful life. 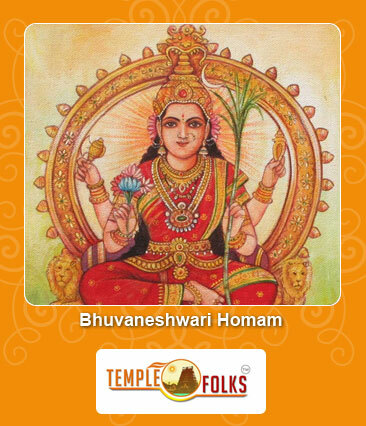 By performing bhuvaneshwari homam helps an individual to have happy married life without any relationship problem. Performing this homam helps to have a peace of mind. Those who want to prevent from unnatural untimely death can choose this homam to reduce your fear. 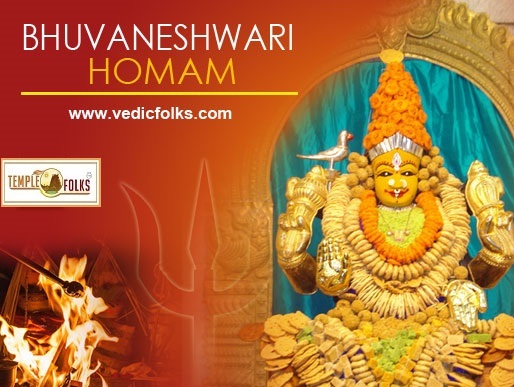 Furthermore this homam safeguard us against any evil effects and negative forces in life. To get all the bounties and experience the enormous integrity of Bhuvaneshwari Homam (fire customs or lab), you can get the assistance of our accomplished Vedic Purohits (intellectuals) at Vedicfolks.com on the web.